I woke up this morning, like many of you I’m sure, thinking that today was Monday. It felt like a Monday – back to work and school after a weekend, playing catch up after being gone, etc. I often wonder what Monday feels like for parents that home school their little ones. 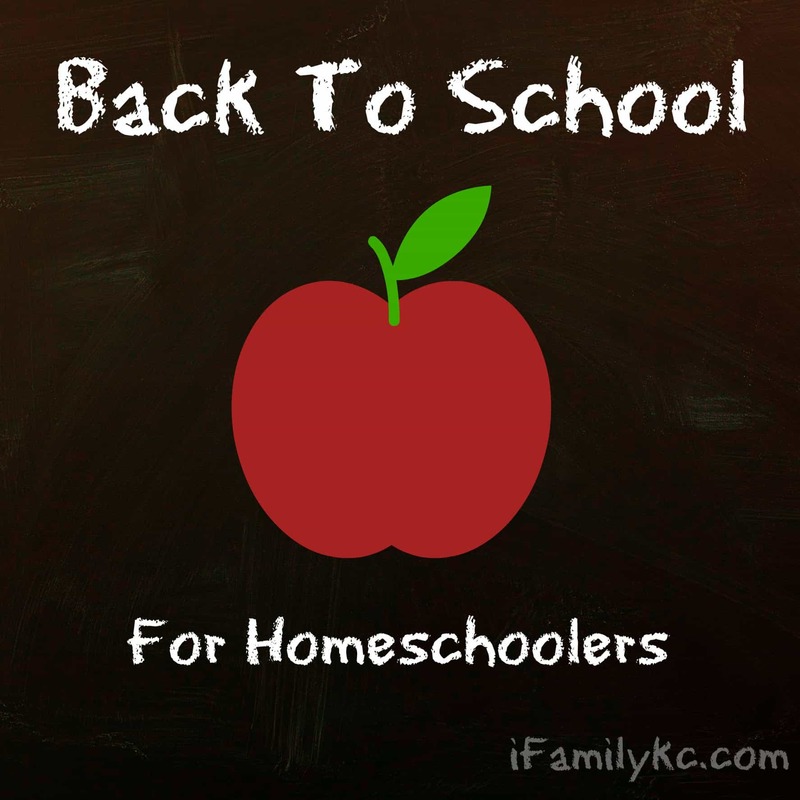 Tonight on the blog, iFamilyKC Mom Squad Ambassador Jayne shares her insight on how back to school goes in HER household. Considering the entire year of school, I definitely have to say that fall is my FAVORITE time to be a homeschooler. While everyone else is rushing to pick up school supply lists, find backpacks, and prepare little ones for the emotional adjustment of entering school – we are lucky to just be able to continue life as is. Now, that’s not to say there aren’t things to do. As fall approaches, I’m creating units and plans for activities, printing out worksheets, setting up crafts, laminating cards, and the list goes on and on. But there isn’t really any part of that where my children feel the stress – leading me to generally have less stress about all involved. Instead of having to rush around town here and there to pick up so many miscellaneous items, attend parent nights and teacher meetings/meet and greets, or begin the process of pulling everyone out of bed at the crack of dawn to get ready – we are still moving slowly. We’re still playing out at the pool, sleeping in until natural awakenings occur, and soaking up those last bits of warmth coming our way this year. There is no one way – public schooling, private schooling, homeschooling, or any of the other educational options – that fits every family. It’s very clear to see that each and every family has to find out what works for their lives and children personally, and move forward after making those important decisions. But after finding our niche and falling into our groove, it’s proven to be the best for our family unit. We are very fortunate, in that I’m able to be at home with our children and able to homeschool them to the topics and interests they personally have, at their own levels – and there is no greater time when I feel this than in the fall. The change in temperatures, the different activities available to us, the soft ebb and flow of the year carrying us along – it’s relaxing, comfortable, and lovely. How are you finding back to school season? How is your family adjusting? Next story Nature Scavenger Hunt! Previous story What to Do When Your Kids Have Lice….Help!